The best way to teach a dog not to bark is to teach it to bark, and then reward it for barking. I have my Bruno, who is a Rottie mix who lives in the house, has just recently seemed to learn that I like him to mouth the word "Mama" and he gets lots of attention. It is really cute, and endearing to see them say words rather than bark. Here is one of my favorite videos, and I hope you will enjoy it. It all has to be fun or it is not worth it for you or your dog. I don't use a clicker, but just when we are spending time together, I will say "Mama" with a questioning voice, and when the dog tries to say it, I just act all happy and praise him. Remember, if you do not always have treats somewhere (hot dogs, cheese, chicken pieces, etc. ), you are not near as interesting as you could be and you won't get near the results. Life is a game of getting treats for fun things in training. If they don't get it after a little bit, back up to something they do get. It must always be fun! This guide is about training a dog to stop barking. 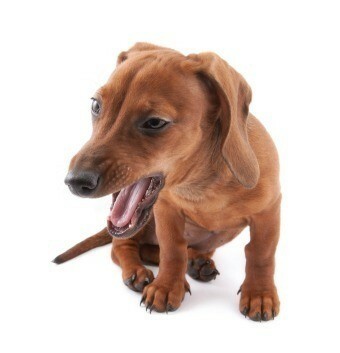 A dog's incessant barking is an irritation to their owners and their neighbors.